There are times when I think we live in our own little small-town Vermont oasis, cushioned from the crazy things that are going on in the modern world. And then there are times that I know we do. Take last Friday night for example. We took our kids to a city forty minutes away in New York, because we had see the Muppet Movie… and that was the closest place to see it. We had to navigate the run-of-the-mill-mall, of course, that post-apocalyptic wasteland of crap you don’t need and stuff to eat that isn’t food. It was fine- we have yucky malls in Vermont too. Then there was the theatre: each movie was allotted what I would call a large walk-in closet of a seating area, presumably so that they have room to show forty-seven different movies simultaneously. I was surprised to be treated to an incessant stream of commercials jabbering away on the screen, instead of the customary silence before the previews start, or the local powerpoint slide show that graces our local two-screen theatre in Vermont. Then there were the previews. A full half-hour of them. Huh. Would they show commercials during the movie too, I wondered? At long last we got to the part in which sky-scraper-sized containers of Coke and monster-truck-sized boxes of Sour Patch Kids float cheerfully through space, alterting audience members to something they have surely overlooked: that the football-field sized counter in the lobby- you know, that sensory assault of colors and chemicals you walked past to get in here? Yeah- you can buy “refreshments” there. 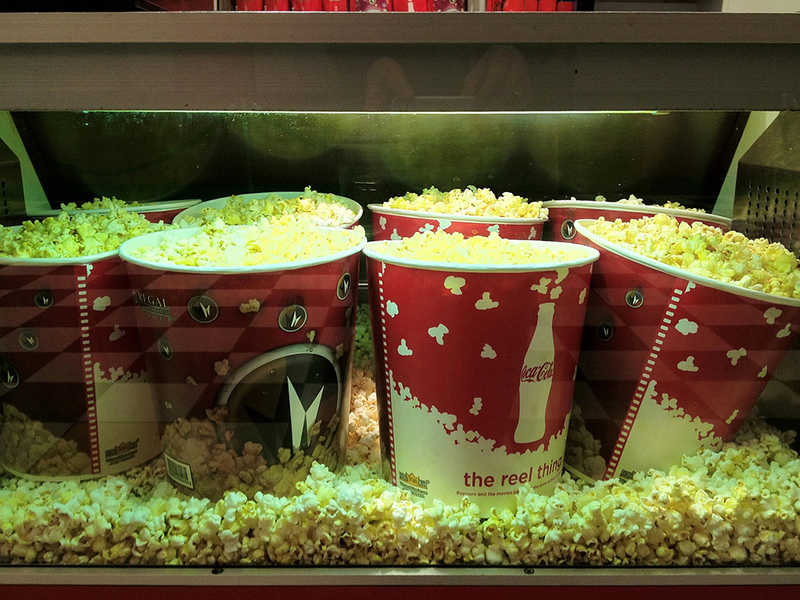 It was there, I noticed, that you can now buy a tub of popcorn larger than your head– it’s about the size of a horse’s grain bucket. To go with it, you can buy a soda of Brobdignagian proportions that takes two hands to carry. Lucky for us, we had already eaten. But after the movie ended my older daughter Greta really REALLY wanted a drink, so I approached the neon counter and ordered a small bottle of water. Is it me, or is the world just getting too obscene to believe? Since when does a bottle of water cost nearly five dollars? (The large, in case you were wondering, was $6.75) Using this principle, a shower should cost about a thousand dollars. But the craziness doesn’t end there: it’s also at school. 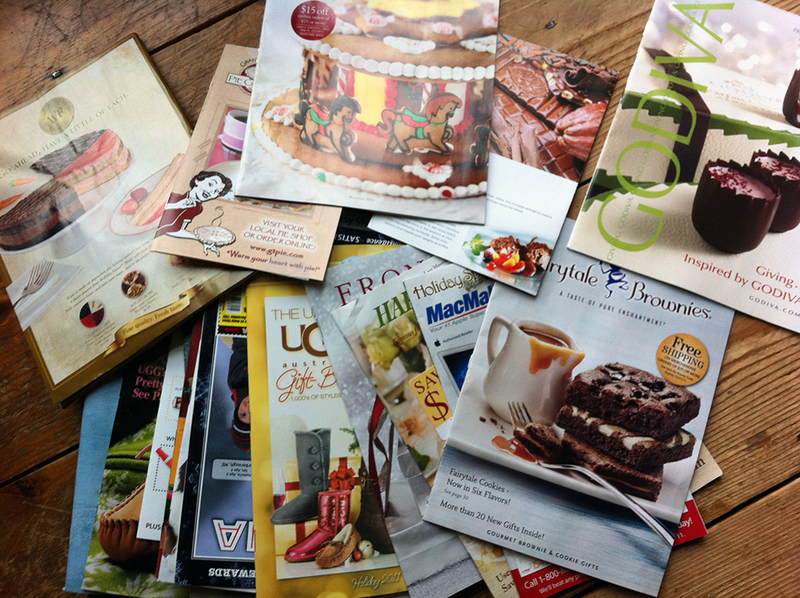 Holiday fundraising catalogs come home featuring “great gifts” such as cheap chocolates, chemical-laden soup packets, and mixes for cakes and cookies which aren’t hard to make in the first place. Flyers supplied by the local supermarkets encourage us to buy certain name brands to “Help Our Schools!”: “Bagel Bites,” “TGI Fridays” appetizers, and “Yoplait” yogurts filled with high fructose corn syrup. I love our school, but I resent the fact that I’m being encouraged to buy crap for our kids in the name of school spirit. How are we supposed to eat healthy when so many forces are conspiring to make us just go along with the status quo? When a bottle of water costs five dollars? When the celebration of Christmas- or anything, really- is equated with eating dessert? When getting a snack from the concession stand requires the use of a hand-truck? It’s one of the hard questions that never goes away… how do I raise a healthy child, in every sense, in mind, body and spirit? If we focus too much on good nutrition, will it backfire? How much are we willing to pull back from society at large, in order to eat healthy? For my part, I can only hope that our Year of No Sugar hasn’t backfired terribly, turning my kids into life-long sugarholics just to get back at me for it. We’ll see. I struggle with this same question everyday! AND I’m my own worst ememy as I totally associate cookies with love. This time of year is the hardest because they just want to sell you stuff. Legal drug pushers. My children are all in their 30’s and are all sugar-holics so I did a terrible job but we just didn’t know in the 70’s. It makes me so mad, even as I’m typing this. And to make matters worse. No one seems to care. And I gained 2#’s this week. You are currently reading A Year Of No Sugar: Post 87 at Eve O. Schaub.